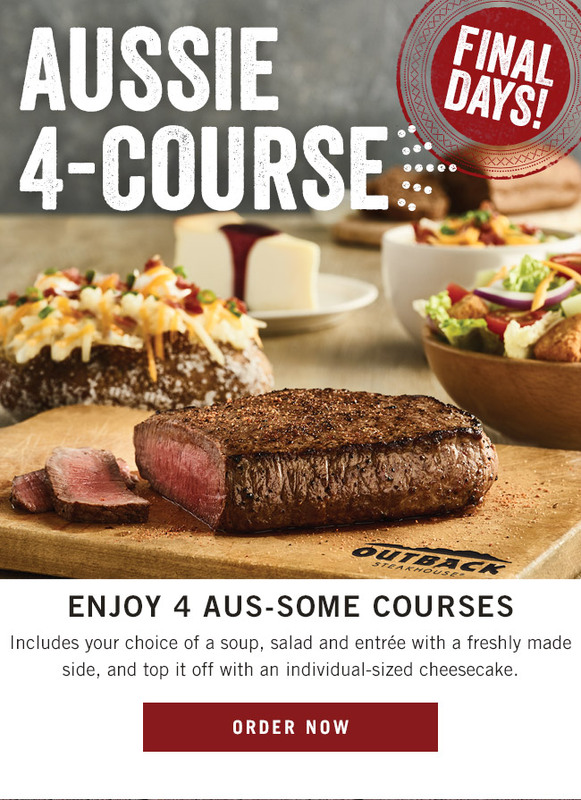 ENJOY 4 AUS SOME COURSES! Home/All/ENJOY 4 AUS SOME COURSES! 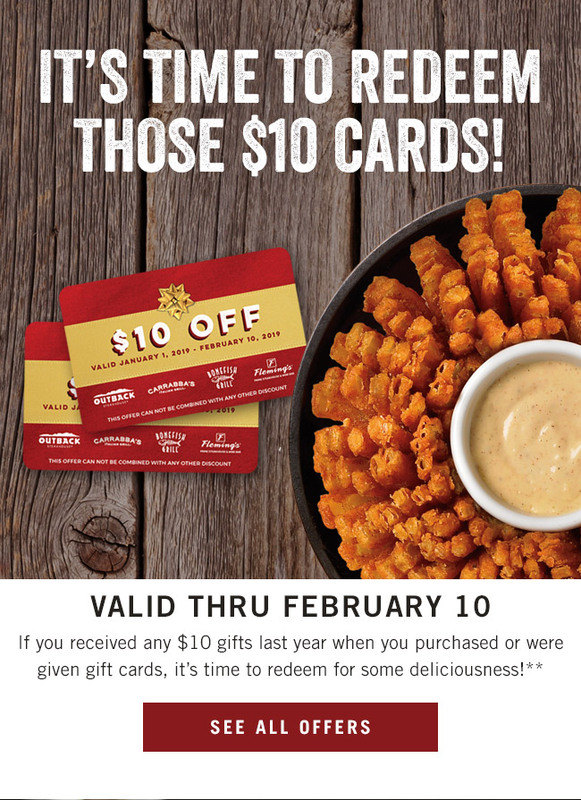 **$10 OFF COUPON valid for redemption January 1 – February 10, 2019. 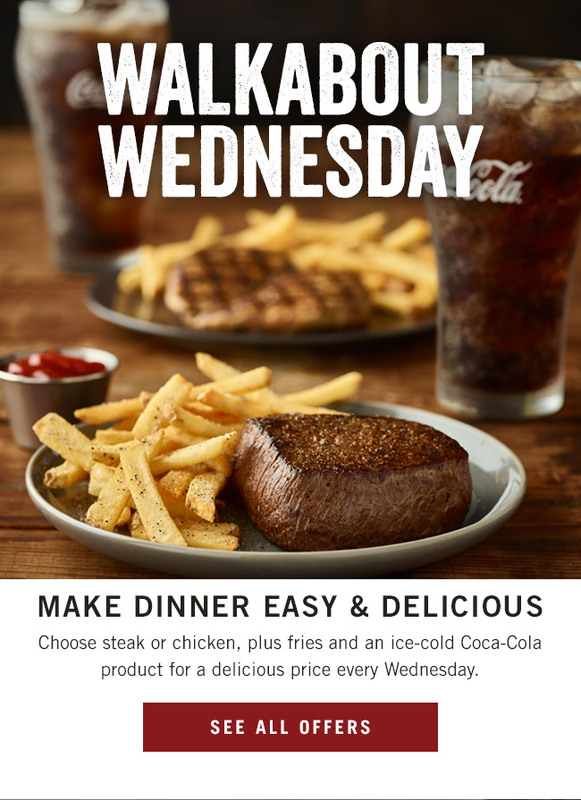 Valid at any Bloomin’ Brands restaurant location in the United States. Gratuity, taxes and alcoholic beverages not included. Limit one card per visit, per table. No cash value. No replacement value if lost or stolen. Will not carry an unused balance. No reproductions will be accepted. Price and promotion may vary. Not valid with any other discounts or offers including any Dine Rewards redemption. Not valid for Private Dining events. Not redeemable at Carrabba’s franchise locations, Carrabba’s Kirby and Carrabba’s Woodway locations in Houston, TX, Carrabba’s and Outback airport locations. 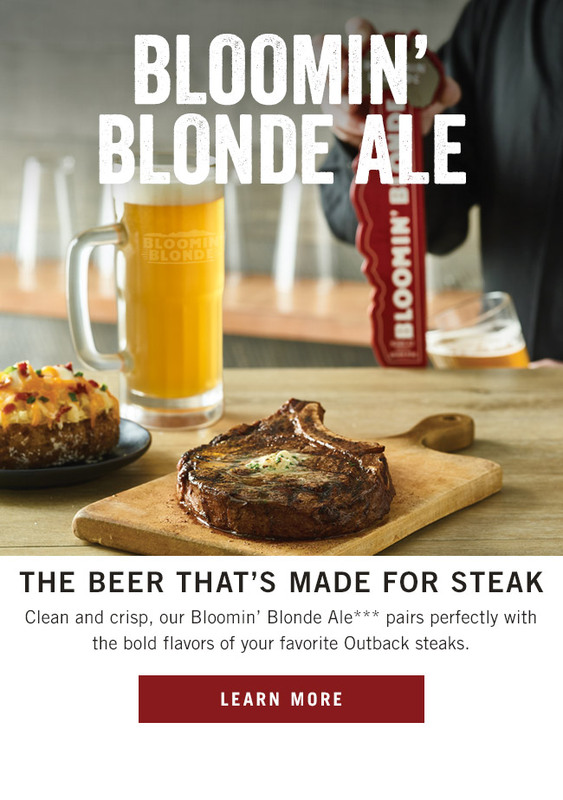 ***Bloomin’ Blonde Ale not available in NC and PA. Also not available at locations in AZ, CA, CO, NM and NV. Drink responsibly. This material is intended only for those of legal drinking age. Please do not forward or share with anyone under 21. By Buddy|2019-01-14T06:20:25-04:00January 14th, 2019|All|Comments Off on ENJOY 4 AUS SOME COURSES!